Native to southeastern Brazil, this water fern is one of the world’s most noxious aquatic weeds. 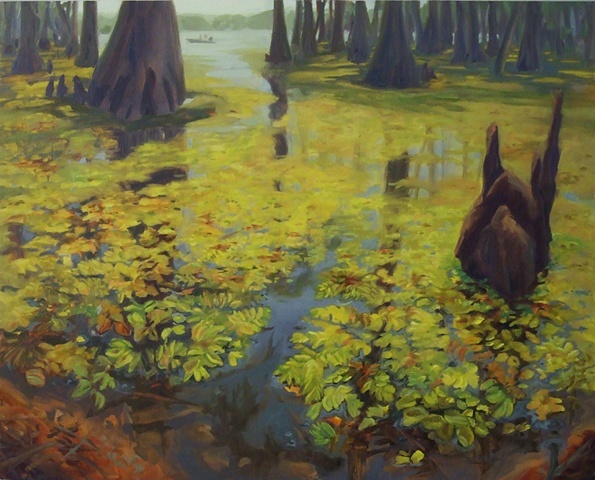 Notorious for dominating slow moving or quiet freshwaters, giant salvinia was probably initially spread to different parts of the world by the aquarium and garden-pond trade. Now it is carried from one lake to another on boat motors and trailers. Giant salvinia forms a thick mat, completely covering the water surface and depriving native fish, plants, and insects of sunlight and oxgen.